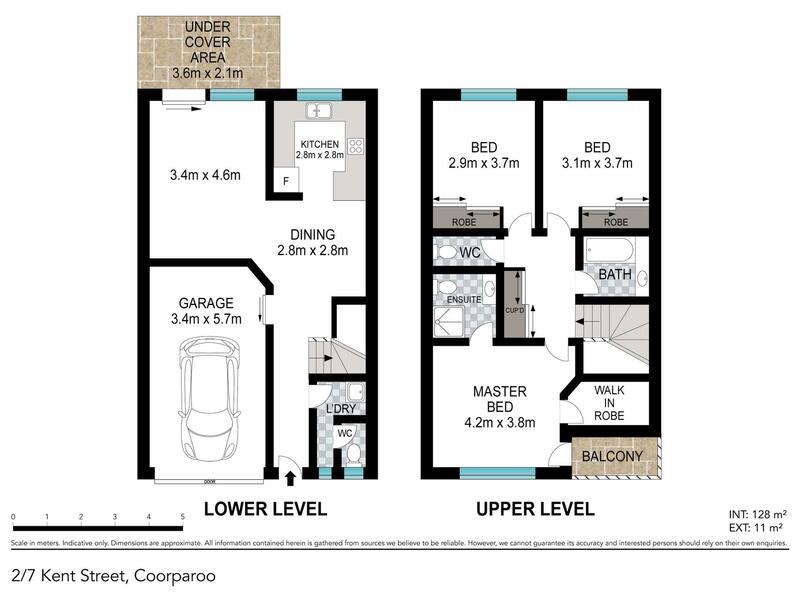 Size Location & Lifestyle – Just Move in and Enjoy. Superbly located in a quiet street in a small boutique complex of four is this spacious townhouse just a few minutes walk from the Marth Street café’s, restaurants and shopping hub. A further 5 minutes away and you have access to the new Coorparoo Square with cinemas, restaurants, cafes, and boutique lifestyle shopping. On the lower level you'll find the tiled kitchen and dining area and an air-conditioned lounge room which spills out to the private courtyard. Upstairs there are three generous-sized bedrooms. The master includes an expansive walk in robe and ensuite. Modern conveniences include remote garage, alarm system, air-conditioning and security screens on all windows. In addition to being close to schools, parks, cafes and transport, the townhouse is also just 5km from the city. •	3 generous bedrooms, Main Includes a walk-in robe, ensuite and private balcony. •	Air-conditioned lounge leading to the private paved courtyard. •	3rd toilet/powder room to service the ground floor. •	Body Corporate Fees are $2135.00 per year.